The Musical Instruments Maker's Forum is the world's largest and foremost on-line meeting and collaboration for builders of all types of musical instruments, from Alphorn to Zurna. 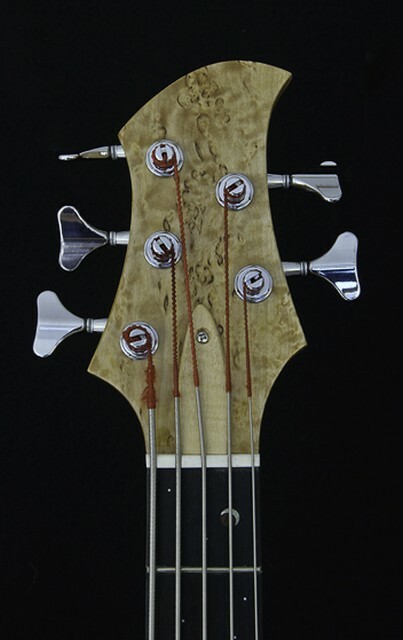 To help cover the costs of running this fantastic resource, members of the MIMF pooled their talents to create this unique, meticulously hand-crafted bass, as they had done previously in 2001. Update: One of our former volunteer staffers-extraordinaire, Amy Hopkins, recently had to undergo open-heart surgery and is facing a huge bill. To help her out (after all she has done for our members and her volunteer work after hurricane Katrina and the Nashville floods), all the proceeds from the sale of this bass will be donated directly to her fund. Just as with the previous MIMF bass, volunteers from around the world came together to create this one-of-a-kind, world class bass. The process took a little longer this time (OK, a LOT longer! ), but it was definitely worth the wait. Every piece of the bass has been meticulously handcrafted by some of the most talented amateurs and professionals out there. Standard Jazz Bass wiring, with two volume controls and a master tone control. A closer look at the body, crafted with care by David King, Kurt Veltman, and Stephen Ziegenfuss. 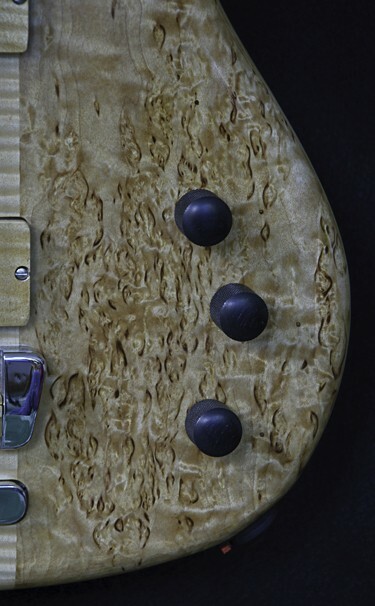 The neck was laminated, hand-carved and fretted by Barry Daniels. The gorgeous woods were donated by Larry Davis of Gallery Hardwoods. 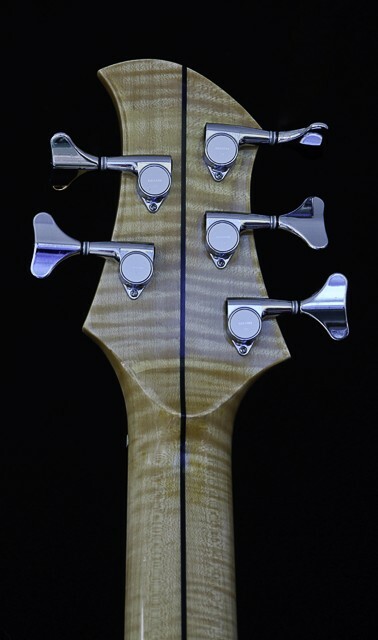 and hand turned ebony knobs by David King of David King Bass Guitars. 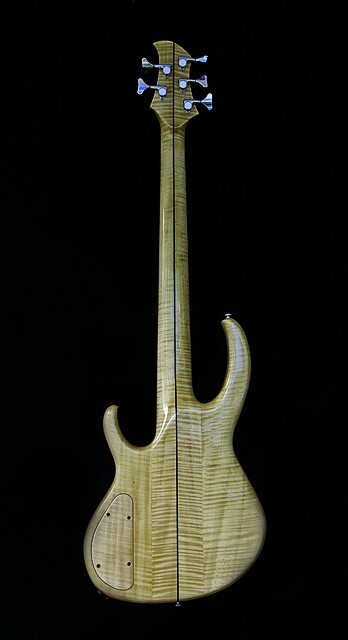 Masser birch head plate and curly maple neck with mini Gotoh bass tuning machines. Out-of-this-world inlay by Dan Sharp, before and after fretting. 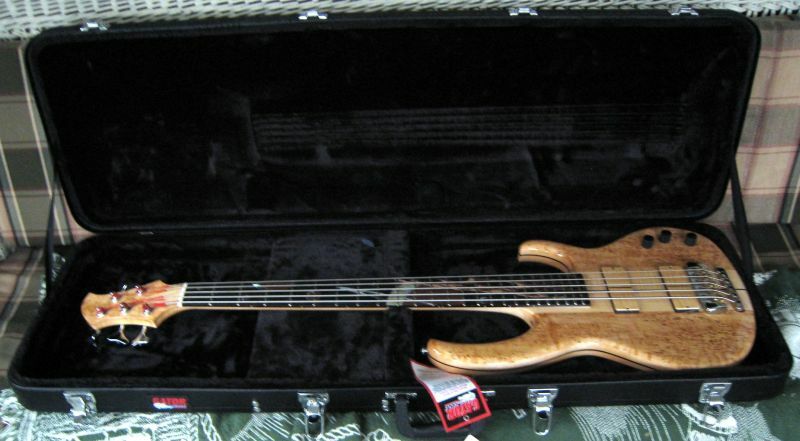 The completed MIMF Bass in its Gator hardshell case, donated by coordinator Mark Swanson. 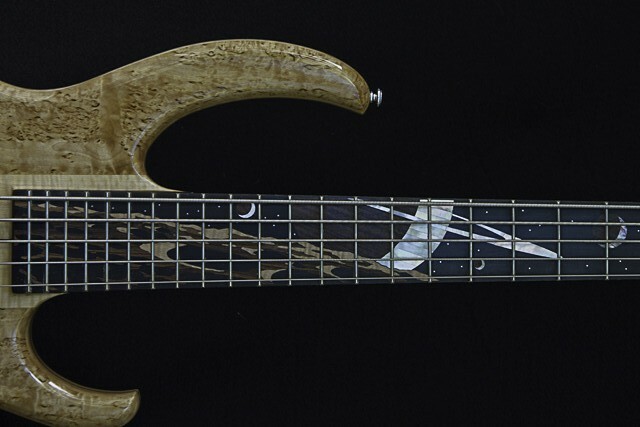 Learn more about the luthiers who contributed to this this bass and its construction. 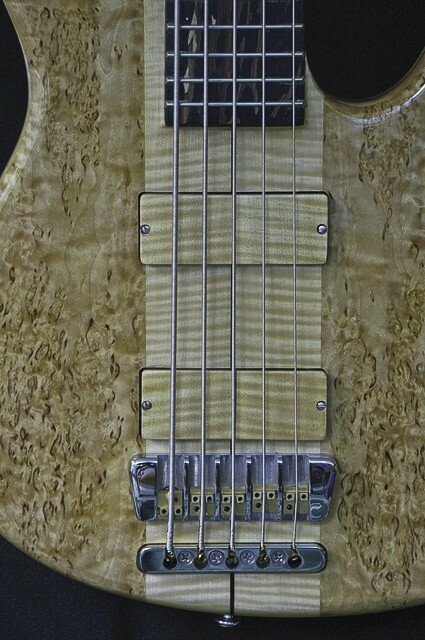 Read the original MIMForum discussion about building the bass. Visit the MIMF Forum top page. 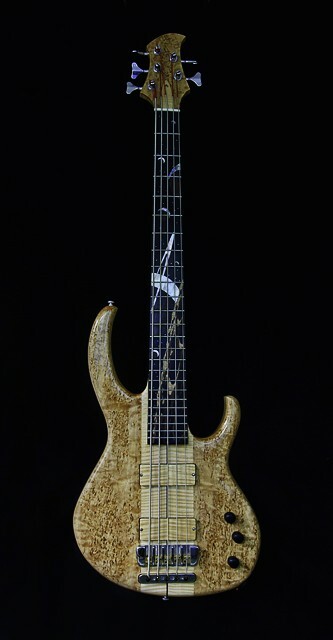 ©Musical Instrument Makers Forum, 2011, all rights reserved.